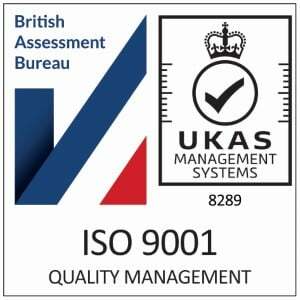 ISO 9001 is a standard that sets out the requirements for a quality management system. It shows that Doherty Associates has taken great strides to improve our efficiency and improve the experiences of our customers. In order to attain the accreditation, we had to show that we put our customers first, consistently meeting their needs and striving to enhance their satisfaction. ISO 27001 is the most widely recognised international standard for information security. The standard specifies the requirements for implementing, maintaining and continually improving an Information Security Management System within the context of the organisation. In order to gain the accreditation, Doherty Associates underwent a rigorous assessment by an independent auditor, to prove that we met the standards outlined by the ISO. Doherty Associates helps many of our customers to protect their data and safeguard their systems. Gaining this certification is validation that we ourselves are also taking every possible measure to protect our customers data and ensure that we are handling it in a responsible and satisfactory manner. Thanks to all the staff at Doherty Associates for their help in gaining both ISO 9001 and ISO 27001 recognition, in particular our Operations Director, Owen Morris, and Head of Cyber Security, Alex Bransome. IT Support - why does it matter?